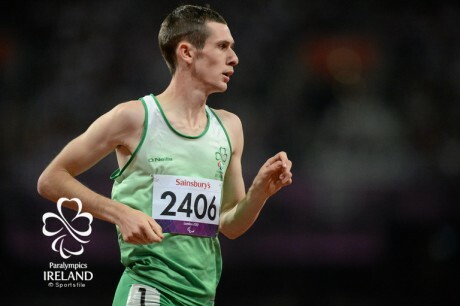 Irish Paralympic stars Michael McKillop and Jason Smyth have each been named on the International Paralympic Committee’s (IPC) list of ‘Ones to Watch’ for Rio 2016. The talented Irish athletes feature on the list alongside a number of other elite track and field stars including Great Britain’s Aled Davies, Brazil’s Felipe Gomes and David Brown of the USA. Smyth, who has been dubbed the ‘Fastest Paralympian on the Planet’ is the reigning Paralympic 100m and 200m champion after achieving double gold at London 2012 to complete a unique double double. He also holds the world record for each distance. In recent times, Smyth added even more medals to his collection, claiming gold in the 100m at the 2015 IPC Athletic World Championships in Doha, and gold in the 100m and 200m at the 2014 IPC Athletics European Championships in Swansea, which continued on from his wins at the 2013 World Championships. Michael McKillop meanwhile is a triple Paralympic gold medallist, winning gold in the 800m in Beijing 2008, and gold in the 800m and 1,500m at London 2012. He also holds world records for both distances and his record-breaking form continued long after London 2012. He won his fourth and fifth world titles in France in 2013 and clocked yet another world record, while in 2014, he secured his first European titles. He then went on to successfully defend his titles at the 2015 IPC Paralympic Athletics World Championships in Doha recently. This win marked his seventh world championship gold medal and his second of that Championships, having previously secured gold in the 800m earlier that same week. The news comes just one week after Ireland’s Noelle Lenihan was also listed by the IPC as one to watch in Rio. You can see the full list of 'Ones to Watch' for track and field here.